﻿During my International Student Exchange I have found that it is when I am surrounded by people, especially my close friends that I feel most alone. Currently studying at Sophia University, Tokyo, from the outset I decided that I wanted to join a club. After learning about Japanese Club culture throughout my Japanese study I did not want to miss the opportunity of being able to actually participate in one. In Australia I am a rather sporty and outgoing person, playing tennis, dancing and working as a swim school teacher. After considerable deliberation I decided to join the 上智大学水泳部 Sophia Swim Club. I have never swum so many laps and spent so many hours in a pool but it has definitely been worth it, not only for the improved fitness but the amazing friends that I have made and the opportunity to practice my Japanese. 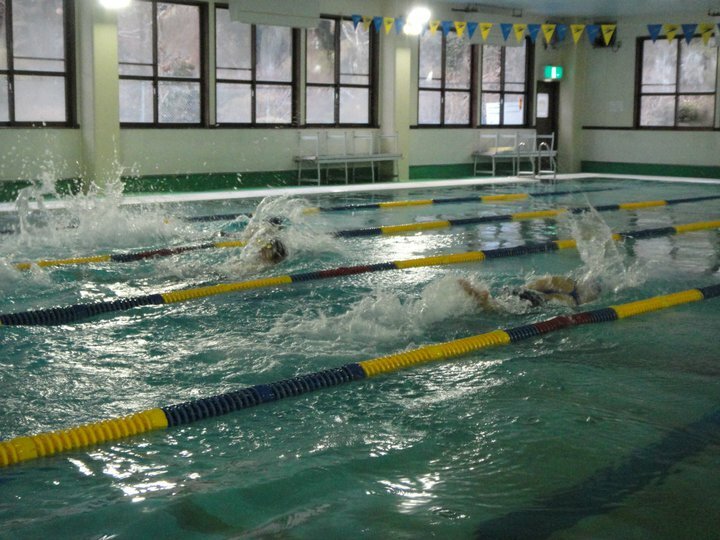 The first week of Spring Break I went with the Swim Club on 合宿 (Gasshuku) an intensive week-long training camp, in a remote location. During this time we swam 6 hours a day; over 5000 meters per session in addition to strength and cross training. However, being away from what I have come to call ‘home’ I became homesick for my life in Australia. This was compounded when I heard the other students talking about how their parents had helped to pack their luggage and made them lunch to bring for the travel, or what home cooked meal they were looking forward to eating when they got home – the little things that you don’t realise that you miss until they are not there. 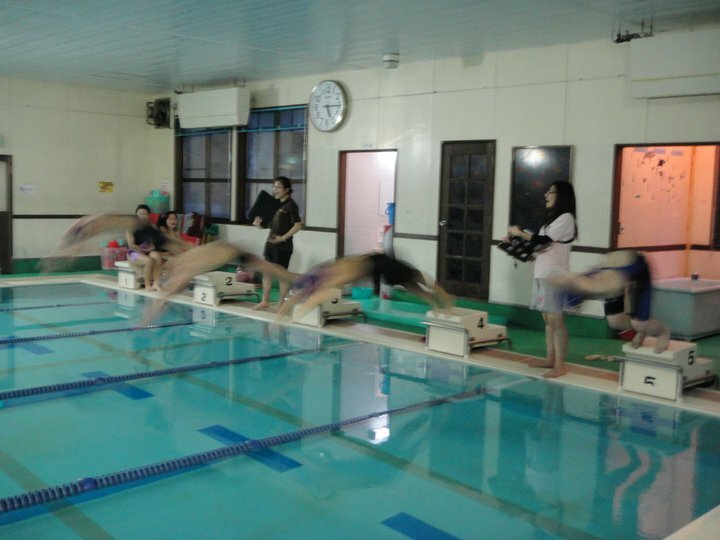 Also at times when I couldn’t understand the Japanese they were speaking or when I thought I could not complete a swimming drill I felt defeated and wanted to give up (at one point there were even tears). I felt so alone even though I was in the middle of a group of people, which made me feel even more isolated. 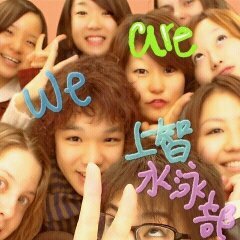 Although if it were not for those group of people I would not be where I am today. They were there to help me through my emotional state and took the time to talk to me and make sure I was alright. The next morning I completed ﻿﻿﻿the seemingly impossible swim set, bettering my previous time by five seconds. Everyday each and every person would do their best to encourage all members of the group so that we could get through it together. Despite all being tired and in pain we would push through to make sure that we completed every set that was assigned, aiming to swim faster and harder. At the pseudo competition we competed in, each member stood at the side of the pool yelling chants into loud speakers with so much enthusiasm and energy despite having just swum their own race and having to prepare for the next. I learnt so much from this experience, not only that there really are no boundaries but the strength of people as a collective whole is a much stronger and more positive force than I ever knew. This entry was posted on February 24, 2011 by sarah.stevens. It was filed under Cultural differences, Japan . Phew Sarah – this is a moving piece. You capture the kaleidoscope of emotions and the intensity of your experience with integrity and honesty – thanks for the insights. And churning out 5 kms per swim session – you must be super fit now. So pleased that your sporting interests gave you a window of opportunity to explore Japanese culture through a different lens. Still experiencing waves of homesickness? UOW starts this week amongst humid sultry conditions. Look forward to seeing u @ home – don’t forget to enter the photo contest warmly tonia. How has the earthquake and tsunami impacted on you and those around you? The TV coverage has been diabolical this end, seems that we are only beginning to comprehend of the catastrophe Japan is facing. Please keep us informed.